It is now just over 30 years since the legendary Karen Carpenter passed away, she left behind an amazing catalogue of hit songs and golden memories and is still played daily on radio stations throughout the UK. 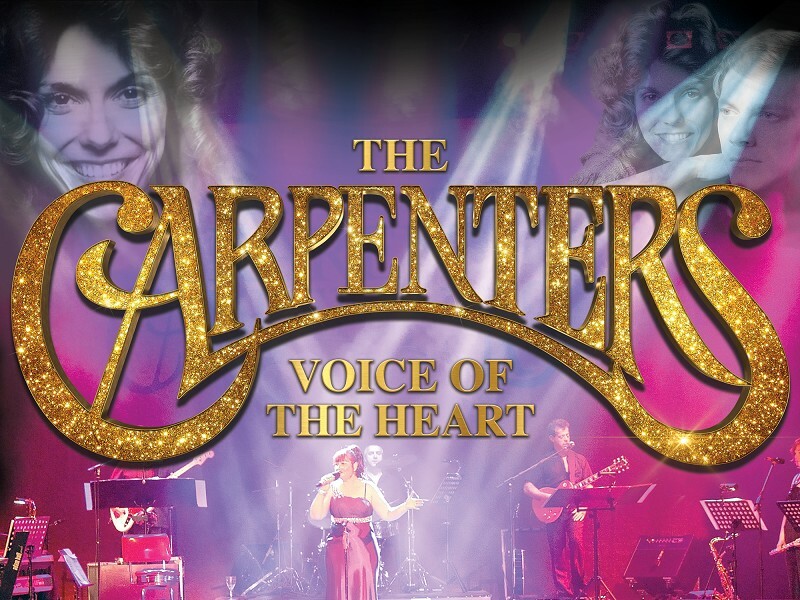 This stunning show celebrates the music of The Carpenters, and the evening is guaranteed to lead everyone through a magical memory. YESTERDAY ONCE MORE, GOODBYE TO LOVE, CLOSE TO YOU, ONLY YESTERDAY all the hits that every Carpenters fan adores. Plus great medleys put together from their many album tracks, songs that link together from The Beatles –MR POSTMAN, TICKET TO RIDE & HELP, a superb Bacharach and David medley featuring renditions of DO YOU KNOW THE WAY TO SAN JOSE, ALWAYS SOMETHING THERE TO REMIND ME, to name but two of these timeless classics. A Carpenters country medley with TOP OF THE WORLD, SWEET SWEET SMILE, & JAMBALAYA is in great contrast to the sad and perhaps most popular songs on her last and most poignant album Voice Of The Heart. With superb vocals from CAROLE GORDON and outstanding talent from the brilliant BLUE JEANS BAND & SINGERS it will be a “sparkling” night to remember.